We have exciting news here at Centerboard! We have recently brought on a new Community Engagement Coordinator. Ladies and Gentleman, introducing Justin Morley! Known by many as Justice Born, Justin is a Lynn resident. He has been on board for about 6 weeks and his resourcefulness along with his experience as a community organizer and event planner has made an immediate impact on our families. Through organizing events, workshops and other community based initiatives at our Visionspace Gallery, Justice focuses on creating atmospheres of diversity which are safe, inclusive and judgment free. Aside from his work with us, he also does outreach for the homeless and leads the Wreck Shop Movement, which is a driving force in the local Hip Hop community, known for having a positive social impact with their "Hoodies For The Homeless" initiative as well as their free events and roster of talent. Justice uses his experience of being homeless 6 years ago as motivation to do more to help people going through similar hardships. Centerboard is beyond thrilled to welcome Justice into our family and we look forward to supporting him in his amazing community work! Another Successful Tax Prep Season! Here at Centerboard, we’ve had another very successful VITA season. VITA stands for Volunteer Income Tax Assistance. It is an amazing program that engages local volunteers and pairs them with that community’s residents who need quality tax preparation. The volunteers are trained and certified by the IRS and there is no cost to participate for those getting their taxes done. An important element of the program is to inform people on the various tax codes that may apply to them. One of these is the Earned Income Tax Credit. The EITC is a refundable tax break provided by the state of Massachusetts in order to provide a meaningful boost to the after-tax earnings of low-income working families. It is available only to tax filers with earned income and provides benefits primarily to workers with children. The Earned Income Tax Credit is a valuable resource to working families as it provides some financial relief for those trying to stay out of poverty. We all know that poverty affects children the most and through this credit, hard working families are able to provide more to ensure that their children are able to live a healthier life. During this year’s tax season, our VITA program was able to process over $200,000 in returns via the Earned Income Tax Credit. We were able to help numerous families while also providing a boost to Lynn’s local economy. Thanks to BMC HealthNet Plan for sponsoring this important community initiative! Its VITA time again! Not familiar with VITA? It stands for Volunteer Income Tax Assistance. This program is an amazing and impactful community initiative that helps local residents get quality tax preparation without the hefty price tag. Volunteers sign up and receive up to date training from the IRS on the current standards, rules and regulations of tax preparation. Participants in the program receive their tax prep for free. This program provides a valuable service to all the communities it serves and we are very happy to bring it back to Lynn, thanks to our sponsor BMC HealthNet Plan. Volunteers are truly what make this program go, (aside from Rockstar Centerboard employee Marisol! ), and this year will be no different. We need a dedicated staff of volunteers to fulfill several different roles. The hours are flexible, the training is free and the time commitment is up to you! Over 4 years of Centerboard’s VITA program, our volunteers have helped to generate over $4 million in tax returns, the majority of which goes right back into Lynn’s local economy. Here is a brief description of how you can help. If you are interested in becoming a volunteer, please email your contact information to Marisol HERE. return preparation for eligible taxpayers. that the tax returns are error-free. You must be tax law certified at least at the Intermediate level. If you are looking to learn a new skill set, brush up on your tax skills or give a helping hand to your community, volunteer for our VITA program today! Here at Centerboard, we’ve launched a fairly new program called The Big Red Bookshelf. If you “like” us on Facebook, you’ve already seen some of our postings, but this will give you additional information and hopefully spark some interest among you! Each week Centerboard is receiving 750-1,000 gently used children’s books from More Than Words, a nonprofit social enterprise that empowers youth who are in the foster care system, court involved, homeless, or out of school to take charge of their lives by taking charge of a business. The books we receive are sorted by our dedicated volunteers and redistributed throughout the city to elementary schools, childcare centers and other non-profits. Our goal is to reach EVERY child in Lynn – from birth to grade 5 – with at least three books during each calendar year. This is where we need your help! 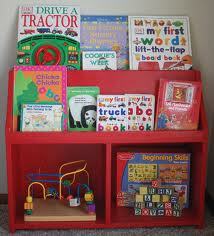 Can you help us identify opportunities for placement of a Big Red Bookshelf? After placement, we ask that an on-site designee monitor the bookshelf. Ideally, this person – whether staff or volunteer - would straighten up the bookshelf and would be the liaison with Centerboard to let us know when more books were needed. Currently we have the capacity to deliver 200-300 books per site on an on-call basis. We are also partnering with Lynn Tech, who will be building and painting a dozen Big Red Bookshelves for us to distribute around the city. We are happily accepting “applications” for those bookshelves at this time as well. We are sorting books into categories as follows: board books, picture/story books, early readers, chapter books, and reference books (i.e. almanacs, history, geography, biographies, animals, etc. – more appropriate for a library setting). In addition, we have some beautiful “specialty” books, specifically books in foreign languages – Spanish, French, German, Chinese, Portuguese and even Braille! We even have some beautiful “coffee table” type books for adults on gardening, art, music and architecture. We hope to find appropriate homes for all of these books as well. Last but not least, a task of this size requires a lot of peoplepower, so we are actively recruiting volunteers to help with the sorting of the books. So, if you need books or would like to volunteer to help sort books, contact us today! Connect with Sharon at sfosbury@thecenterboard.org. We look forward to hearing from all of you regarding your organization’s interest in participating with us. Of course, we encourage you to reach out to other non-profits within the city who may not already be on the list, and please feel free to come by and check out OUR Big Red Bookshelf in our lobby at 16 City Hall Square, downtown Lynn!